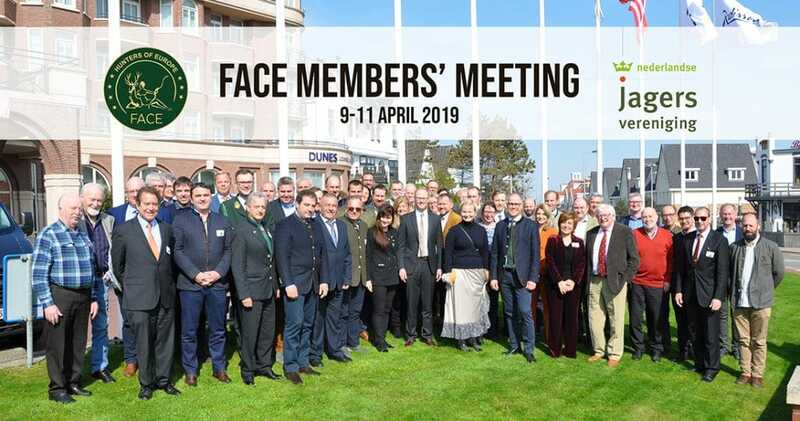 From 9-11 April 2019, the Royal Dutch Hunters’ Association – Koninklijke Nederlandse Jagersvereniging – hosted the 2019 FACE Members’ Meeting in the Netherlands. The main event was the first European Hunters’ Conference: ‘Wild’ challenges for hunting and conservation, where a series of high-level panels discussed the hottest topics facing European hunters. These included the future of lead in ammunition, large carnivore management, African swine fever in wild boar, ensuring the sustainability of migratory bird hunting and the upcoming European elections. The conference participants comprised of a mix between the heads of Europe’s national hunting associations, experts from the academic world, representatives from the European Commission and industry as well as key European environmental NGOs. Each session highlighted various opportunities and threats and the need for FACE to lead the dialogue in the EU institutions to promote hunting and conservation in Europe. They also emphasised the importance for FACE and its Members to communicate the crucial role that European hunters play with regard to nature conservation, rural economies, education of younger generations and promoting cultural heritage. FACE President Torbjörn Larsson stated: “European hunters are united within FACE to lead the debate in Brussels where 75% of the regulations affecting European hunting are decided. From 1977, FACE has built the bridge between hunters and the European Institutions; it’s never been so important to have a strong FACE”.